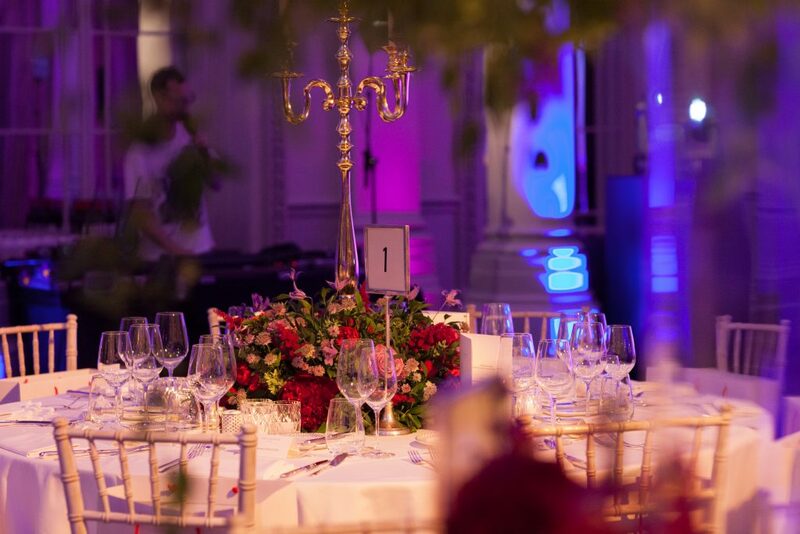 Celebrating their 20th corporate anniversary, Aqveq approached Larry Walshe to create an impressive and luxurious dining environment in the Ballroom at The Langham Hotel London. Using red tones to compliment their corporate branding alongside deep berry hues and lots of textural foliage, we created a sophisticated scheme packed with detail and interest. 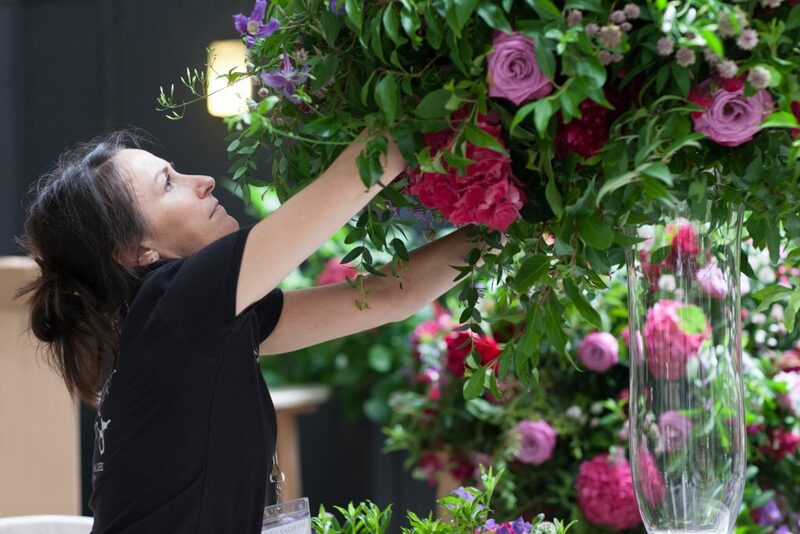 Peonies, full-bloomed roses, clematis and fragrant stocks all combined to fill the room with the most heavenly scent. 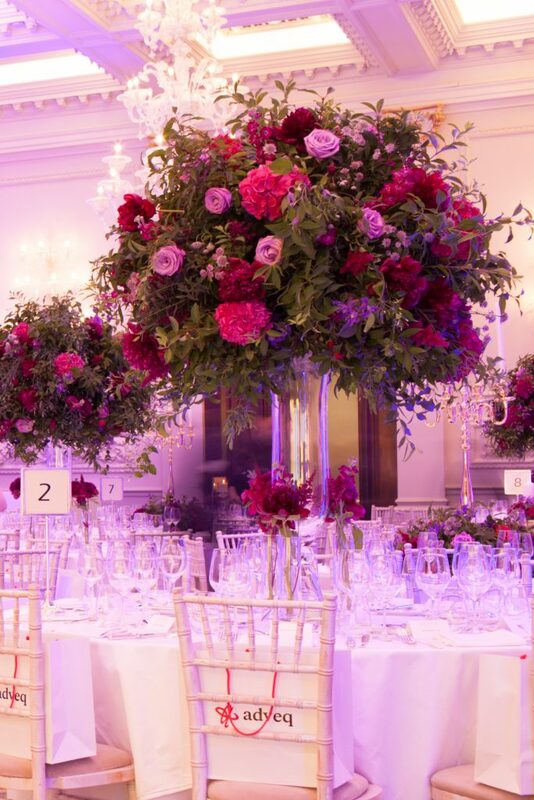 Tall tables created a wonderful atmosphere throughout the ballroom whilst golden candelabra dressed at the base with an exquisite blend of seasonal foliages and deep berry toned flowers created a generous display. Low tables were then created using elengant gold goblets and hand tied designs in the same scheme. 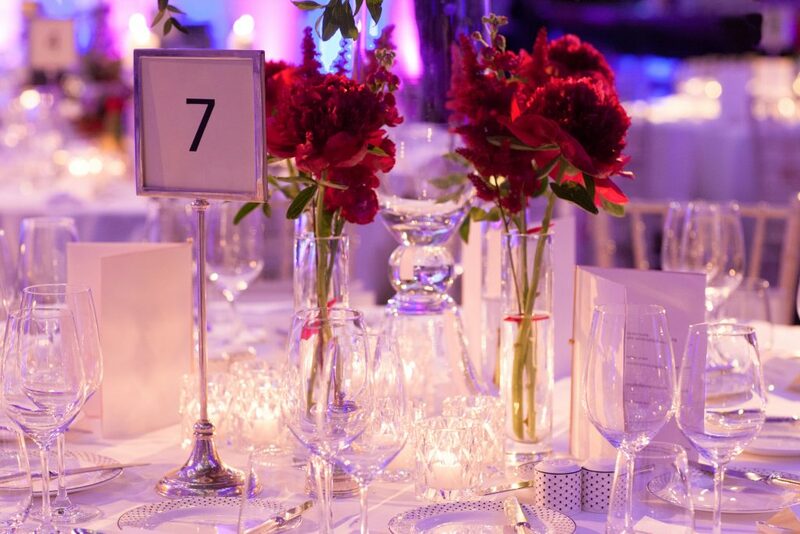 Crystal accessories were placed throughout which, when lit, resulted in the most luxurious dining environment; perfect to compliment the team at Chez Rouz with their extravagant tasting menu.